If you get pain in your lower back that travels down your legs, chances are you’re experiencing sciatica. This condition can be very uncomfortable and is often worse at night. Although sciatica pain can be caused by a variety of conditions, one thing that can either improve or worsen your pain is your mattress. So, it’s not surprising that many people with this type of discomfort are looking for the best mattress for sciatica pain. Although sciatica is common, many people don’t understand why it occurs and how it can be improved with the correct bedding. In this article, we’ll explain everything you need to know about what sciatica actually is, how it’s affected by your mattress and how to go about choosing the most comfortable bed possible to improve your discomfort. We’ll also review out top 10 expert-approved best mattresses for sciatica in 2019 to give you a fantastic starting point for your search. What is sciatica, and why does it happen? Sciatica is actually a symptom of other conditions instead of a condition in its own right. It’s usually caused by an underlying back condition or injury such as a herniated or degenerated disc or arthritis. The discs responsible for causing sciatica are usually the L4, L5 and S1 discs. If one of these problems is causing a build-up of pressure on the sciatic nerve, this can cause pain in the lower back, legs and feet. This often becomes worse at night while the person is lying in bed. For some people, this pain can be so severe that it becomes debilitating. Why does buying the right mattress for sciatica pain matter? The conditions that cause sciatica can be triggered by, or worsened by, a mattress that’s not supportive enough. In particular, a lack of support around the lower back and hips is most likely to cause or worsen sciatica-type pain. Full spinal support is important too. This is because sciatica may be caused or worsened by a mattress that allows your spine to rest in an unnatural or uncomfortable position. Often, a mattress that is too soft or too firm for the person’s individual needs is responsible for making their pain worse at night. How to tell if your mattress is making sciatica worse? If you suffer from sciatica pain, you may be wondering whether your mattress is to blame. The truth is, the original condition or injury to your lower back could be caused by a range of factors. However, your mattress could certainly be a contributing factor in worsening your pain. 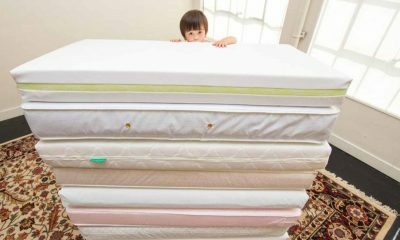 Fortunately, there are a few easy ways to tell if your mattress is unsupportive and may be causing your sciatica or making it worse. 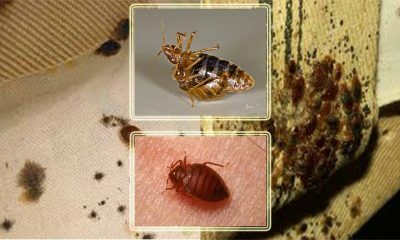 If you spot one or more of these red-flags, it could be time for a mattress overhaul. How to Choose a Good Mattress for Sciatic Nerve Pain? If you’ve got this far, chances are you want to know how to pick the best mattress to improve your sciatica pain. With so much choice on the market nowadays, it can be difficult to know which product is best suited to you. In truth, everyone’s needs will differ and what helps one person may well not suit another. 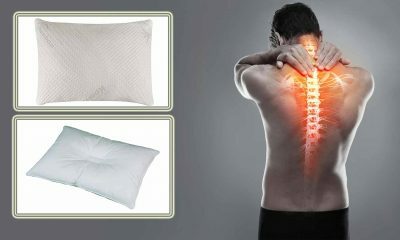 However, there are a few key ingredients of any good mattress for sciatica which you should look out for. 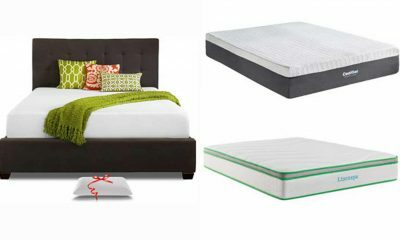 Get these basics right, and you’ll be well on your way to choosing a more supportive mattress and getting a better night’s sleep. A mattress that helps sciatica pain should give a good level of support, especially to your lumbar and hip area. However, it’s also important to make sure that the mattress supports your whole spine in a healthy alignment. The right level of support can work wonders for sciatica pain, while not enough support can make it significantly worse. So, support should be your number one priority when mattress shopping. 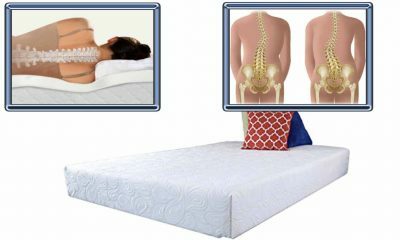 Any mattress for sciatica should have the ability to conform to the individual shape of your body. This helps to take pressure off your joints and can help to ease pain. Although memory foam is the obvious choice when it comes to conformability, there are many types of mattress that could be suitable and adaptable enough to ease your pain. Not only should a mattress for sciatica pain be supportive, it needs to maintain that level of support in the long-term or your problems will just come back. For this reason, it’s important to look for a mattress that’s durable and will remain supportive for many years. One of the key things to look out for is good edge support. This means that the mattress has extra reinforcement around the edges. This helps it to keep its shape well and prevents sagging. Edge support is especially important if you like to lie or sit on the edge of the mattress because this can cause premature wear and tear. Mattress manufacturers often make claims about how supportive their mattresses are, but it’s important to check that this bears out in real life. So, check out reviews from mattress experts and also from real-life users, especially those with sciatica. This will give you a realistic and truthful sense of whether the mattress really will help with your sciatica pain. While it may sound like a no-brainer, in truth people often persist in sleeping on uncomfortable or too-hard mattresses because they’ve been told that particular mattress is the best thing for relieving their discomfort. However, this is counterproductive. If your mattress is uncomfortable, you won’t sleep well and may adopt some unnatural positions to try and ease your pain, which can make things worse. In the end, you could spend a fortune on a mattress hailed as being ‘perfect’ for sciatica pain, but if you’re not comfy, it won’t help. So, make sure any mattress you buy feels comfortable to your personal taste. Do I Need a Firm Mattress to Ease Sciatic Nerve Pain? The vast majority of people sleep on their side at night. This isn’t a bad position to adopt if you have sciatica pain. However, it can put a lot of pressure on your hips which may make you more sore and achy. For this reason, side sleepers require a medium mattress so that the curve of the side of their body can sink in comfortably. Back sleeping is also a reasonably supportive position for your lower back. However, you will need a little extra support to keep your back and neck in a healthy alignment. Medium-firm or firm mattresses are generally best for back sleepers, especially if they suffer from sciatica. Unfortunately, sleeping on your front is not a good position for back pain or sciatica. This is because it forces your spine into an unnatural alignment which can make your pain worse. It’s also a very unsupportive position. Your best option may be to try and switch to sleeping on your back or side. However, if you absolutely can’t sleep in any other position, you’ll need a firm or very firm mattress. This gives your spine extra support and may help to ease some of your aches and pains. Some people switch position in the night. Alternatively, you and your partner may have very different sleeping styles and be wondering how to choose a mattress that supports you both adequately. In this situation, a ‘universal comfort’ mattress may be the best solution. These mattresses are usually medium-firm and are specially designed to give enough support and comfort for all sleeping positions. Many mattress manufacturers only sell their products online. This means that their overall production costs are lower, and they usually pass this on to their customers in the form of lower prices. 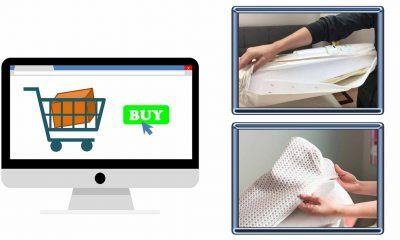 So, you may well find that you can afford a better quality of mattress for your money if you buy online. Furthermore, you may have access to sales and discounts online that you won’t get in a store. So, it’s a good idea to check before you buy to see if you can get the mattress you’ve seen and liked in a store cheaper from an online retailer. Even in a large mattress store, you cannot hope to see the whole range of products available. Online however, you’ll have access to pretty much the whole of the market. 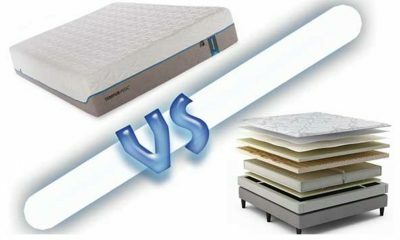 This gives you far more choice when it comes to choosing the right mattress for you. If you buy through a large online retailer such as Amazon, it’s much easier to compare the specifications of various products than if you buy instore. If you buy a mattress instore, you’ll have to search separately for user reviews. Otherwise, you’re just relying on the brand name and what the store clerk tells you about the product. However, if you buy online, you’ll have instant access to user reviews to give you a clearer idea of whether the product is a good investment. In mattress stores, sales assistants usually work on commission. This means that the more mattresses they sell, the more money they make. This sometimes means that selling you the right mattress for your needs is not at the top of the priority list, and can lead to a high-pressure sales technique. You may be made to feel that you need to make a hasty decision, which is never a good idea when shopping for a high-ticket item like a mattress that represents a major investment. If you buy online, there’s no pressure. You can take as long as you like to make the decision that’s right for you. However, there are some downsides to buying online. The most obvious is that you’re usually committing to buying a mattress that you’ve never actually tried. To mitigate this risk, it’s especially important to check out reviews of the product to make sure that it’s high quality and approved by other consumers. You should also consider buying a product that comes with a sleep trial. This means that you can return the product quibble-free at any time and for any reason during the specified trial period and receive a full refund. This gives you peace of mind that if you don’t like the mattress, you won’t be stuck with it. Most manufacturers donate their returns to good causes. Manufacturer’s warranties are also important to look out for, as they cover you for any faults in manufacture during the warranty period. 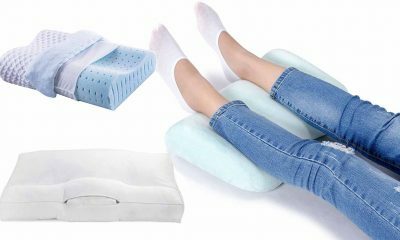 Now you understand a little more about mattresses for sciatica pain, it’s time to look at some of the very best products available in 2019. There are a lot of mattresses on the market right now targeted at relieving back and sciatica pain, and it can be tricky to know which are most likely to be helpful. Luckily, the experts here at Sleep Reports have been working hard to take the guesswork out of buying a mattress suitable for sciatica pain. We’ve reviewed our top 10 products so that you can begin your shopping mission armed with plenty of ideas and inspiration. So, here are our top 10 recommendations for mattresses for sciatica pain in 2019. Kicking off our list in the number one spot is the Nectar Mattress. Nectar are an online retailer that have been making waves in the industry recently, and once you’re familiar with their product it’s easy to see why. This memory foam mattress is super-comfortable, giving a sleep sensation that many liken to sleeping on a cloud. Designed to be breathable and providing a great level of support while remaining comfortable, this is a mattress that should suit most sleeping positions and styles. Let’s take a look at the Nectar Mattress in a little more detail. 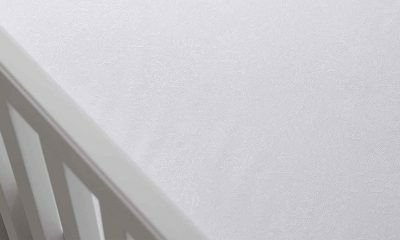 Three layers of revolutionary memory foam: Nectar describe their memory foam construction as ‘revolutionary’, and we have to agree. The three-layered design aims to distribute your weight evenly across the surface of the bed and helps it to conform to the shape of your body. This makes the mattress very supportive while reducing unwanted and uncomfortable pressure on your joints. So, this is an excellent choice for people with back conditions and sciatica sufferers. 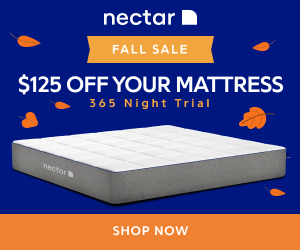 Cooling and breathable: Unlike many memory foam mattresses, the Nectar Mattress is designed to keep cool. The layers of memory foam are designed to allow free air circulation, allowing heat to escape during the night. The mattress is finished with an adaptive cooling cover which is highly breathable while being extremely effective at wicking away any excess moisture during the night. 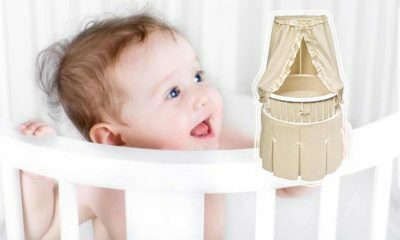 Certi-Pur certified foam: All the foams used in the Nectar Mattress have been awarded the Certi-Pur certification. This means that they have been produced without using any chemicals that could potentially harm human health. It also makes the manufacturing process of the mattress more friendly to the planet. Another relatively new mattress taking the online market by storm is the Tuft and Needle Mattress. 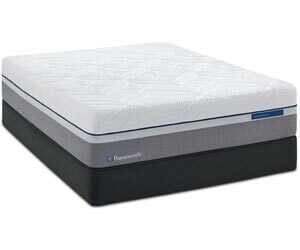 This is another memory foam option that’s especially good at relieving joint pressure. 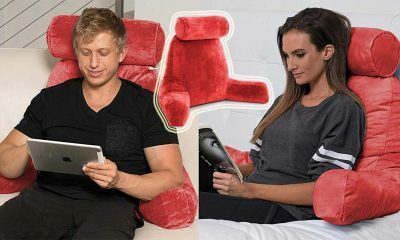 Tuft and Needle aim to provide customers with an excellent level of comfort and quality at a fair price. This mattress is a great choice for sciatica sufferers because it combines pressure relief and support to keep your back in a healthy and comfortable position. 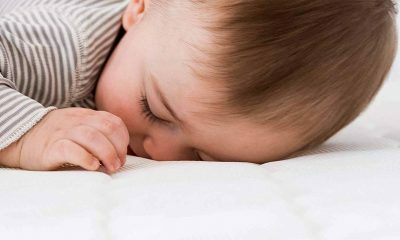 So, why do we love the Tuft and Needle Mattress so much? Let’s find out! 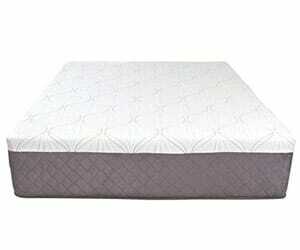 T&N Adaptive Foam: The top layer of this mattress is made of Tuft and Needle’s own specially-designed adaptive foam. This is designed to reduce pressure on the hips and other joints and to adapt to the curves of your sleeping body. It’s also designed to be a little more bouncy than traditional memory foams. This is good news if you’re not a big fan of the ‘sinking in’ feeling many memory foam mattresses have. 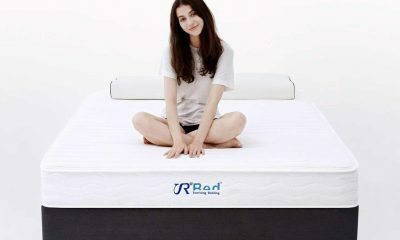 Supportive base layer: The base layer of this mattress is made from high-density foam to support you while you sleep. This helps to keep your spine in a healthy alignment and may help to reduce back pain. Therefore, this feature makes the mattress particularly suitable for people with sciatica. Graphite and gel infusions: The top foam layer of the mattress is infused with graphite and contains gel beads. These make the top layer of the mattress more breathable, keeping the mattress at a cool and comfortable temperature and allowing heat to wick away while you sleep. This helps to solve the problem of sleeping hot which is so common in this type of mattress. 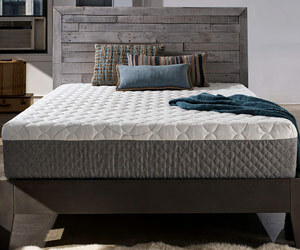 The Shiloh Mattress is yet another awesome memory foam option from well-respected manufacturer Sleep Innovations. The first thing that strikes you about this mattress is its beautiful and elegant appearance with a stunningly detailed quilted cover. The mattress is medium firmness, making it a particularly suitable option for side sleepers or couples with different sleeping styles. We’re impressed by the price too, as you can purchase a queen-size for less than $500. Let’s look at the Shiloh’s key features in a little more detail. Duocomfort design: The Shiloh mattress has two specially-designed layers that the manufacturers have dubbed ‘Duocomfort’. The adaptable top layer conforms to your body and relieves pressure, including around your hips which is so important for sciatica pain sufferers. There’s also a high-density base layer to provide excellent support for your back. 12-inch thickness: This mattress is impressively thick and luxurious, and at 12-inches is most suitable for average and heavier body weights. This also helps to give the appearance of a mattress you might find in a premium hotel. Some people may also find that the added height makes it easier to get in and out of bed, especially if they have sciatica pain. Bed-in-a-box shipping: The mattress is shipped compressed and rolled up in a compact box. Not only does this make shipping cheaper, but it also makes set-up simpler too. It’s much easier to carry and manoeuvre your mattress when it’s packaged in this way, even up the stairs. Live & Sleep have gained a superb reputation in the mattress industry for making bedding that’s comfortable, supportive and budget-friendly. The Classic memory foam mattress is medium-firm, making it a good choice for most sleeping positions, and is specially designed to reduce hip pressure and support your back. This makes it another fantastic choice for those with sciatica pain and its associated conditions. Let’s find out why our experts recommend the Live & Sleep Classic Mattress. Dual-layered design: The top layer of this mattress is made from 2.5 inches of conforming memory foam, which allows the mattress to adapt to the shape of your body. This makes it especially good at relieving hip pressure, a major factor in sciatica pain at night. There is a high-density layer of supportive foam underneath, giving a great level of support to your spine while you sleep. 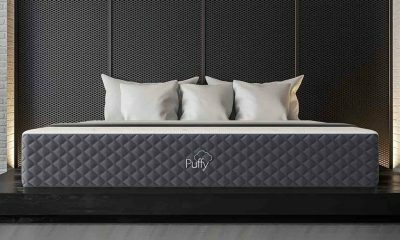 Designed to sleep cool: The top layer of the mattress is made from air-flow foam, and the entire product is designed to be as breathable as possible. This prevents overheating at night by allowing air to flow easily throughout the mattress. Therefore, body heat can escape during the night. Limited motion transfer: This Live & Sleep mattress is particularly good at reducing the transfer of motion from one side of the bed to the other. This means that you shouldn’t be able to feel a partner’s movements much from the opposite side of the bed. This is good news, especially if one of you tosses and turns or needs to get up during the night without disturbing the other. Not only is this gel memory foam mattress from Perfect Cloud extremely comfortable to sleep on, but it looks so chic and elegant that you may feel reluctant to cover it up with bed sheets! Gel is a good option when it comes to mattresses because it’s highly supportive and helps you to sleep cool as well. Perfect Cloud describe their mattress as creating a sensation of weightlessness, which may be just what you need I you’re suffering from aches and pains. Read on for the key product features. 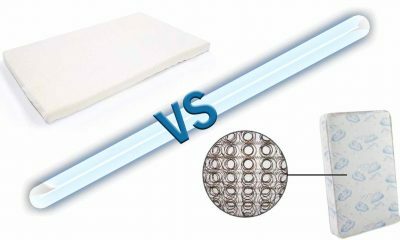 Two layers of visco-gel: Unlike most other one-layered models, this mattress boasts two layers of visco-gel memory foam. This allows the mattress to conform to your body shape, reducing unwanted pressure. Gel also helps to keep your bedding cool, so this is a good option for those that tend to sleep hot during the night. Premium-knit cover: The cover on the mattress is beautifully quilted and very breathable, helping to keep your bed temperature-neutral. Unlike most mattress covers, you can actually unzip and remove it for washing. 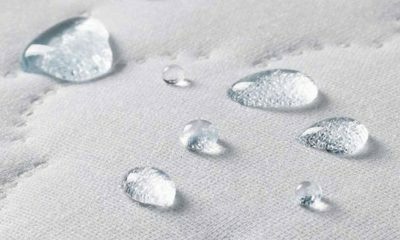 This is handy for coping with any spills and stains and can help you to keep your mattress nice and fresh. Certi-Pur certified: This mattress has met the standards necessary to achieve the prestigious Certi-Pur certification. This assures consumers that the product has been made without any harmful toxins or chemicals. Not only does this guarantee that the mattress is safe to sleep on, but it also makes it better for the environment too. 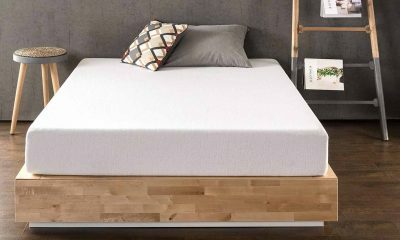 If you’re looking for a hybrid mattress to help with your sciatica pain, this great option from Eco Terra may be what you’ve been searching for. 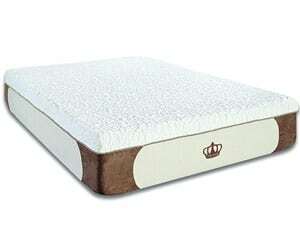 This mattress combines a supportive innerspring core with an outer layer of natural latex foam . Therefore, you get the ‘best of both worlds’ between the familiar bounce and support of an innerspring mattress and the conforming abilities of latex. Latex foam is also a very good option if you like the idea of memory foam but are looking for something cool and hypoallergenic. So, why does this mattress get our seal of approval? Let’s find out more! Innerspring core: The innerspring core of this mattress gives it a little more bounce than entirely latex beds and gives a good level of support for your back. It also contains air spaces which allow air to circulate, so heat can escape during the night. This helps to keep you cool and comfortable. An innerspring core also helps to limit motion transfer from one side of the bed to the other, so you shouldn’t be overly aware of your partner’s movements during the night. 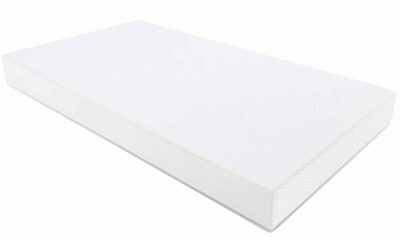 3-inch outer layer of Talalay latex foam: The innerspring core is encased in 3-inches of latex foam. This material has the ability to conform to your body while supporting you, reducing pressure in your joints including around the hips. Latex foam is also better at maintaining a cool and comfortable temperature than traditional memory foam. 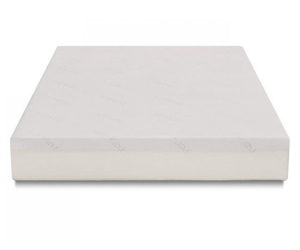 Organic cotton: The cover of this Eco Terra mattress is made from GOTS certified cotton. Not only is this a great choice for helping the environment, but it’s also free from any chemicals or dyes that could cause irritation. The cover is also breathable, adding to the overall temperature neutrality of the mattress. If you’re looking for a gel memory foam mattress, this might be the one for you. 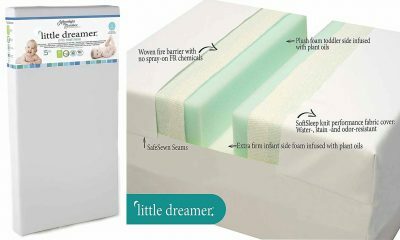 Although they come with a heftier price tag than some of the other mattresses for sciatica we’ve reviewed, Dreamfoam mattresses have an excellent reputation for comfort and quality and are a good investment if you have the budget. At 13 inches thick, this mattress can give your bed the luxe appearance of a hotel bed. Let’s find out more about why the Dreamfoam Mattress is such a good buy. Triple-layered design: The top layer of this mattress is made of 3 inches of gel memory foam, followed by two layers of denser foams. This allows the top layer of the mattress to conform to the body and relieve pressure on joints, while the lower layers give a great level of back support. Working together, the 3 layers create a structure ideal for relieving sciatica pain and discomfort. 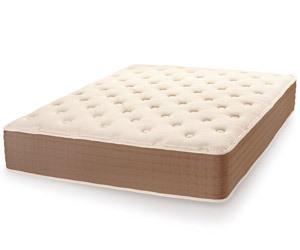 13-inch thickness: This is one of the thickest mattresses we’ve reviewed. The extra thickness makes it particularly suitable for supporting heavier body weights. Some people may also find that the extra bed height this mattress gives makes it easier to get in and out, especially if they have back and sciatic pain. Gel memory foam: Gel-infused memory foam is an excellent choice for mattresses because it’s extremely supportive. It also helps to keep the mattress at a cool and comfortable temperature while you sleep. Therefore, this mattress could be a good option for those that tend to sleep hot. The DynastyMattress Cool Breeze Gel Memory Foam Mattress is a good option if you want a thicker gel mattress on a tighter budget. This mattress is specially designed to keep you cool and comfortable and is medium-firm. 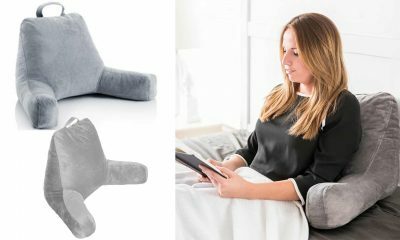 This makes it a good option for most sleeping positions or for couples with very different sleeping styles, although some side sleepers may prefer something a little more plush. Let’s take a closer look at the specifications of the DynastyMattress. 2 inches of Airflow foam: The top layer of this mattress is made from 2 inches of gel-infused Airflow memory foam. This helps to make the mattress more breathable and keeps you at a comfortable temperature. However, it also has the ability to conform to the unique shape of your body, relieving pressure on your joints. Supportive base layer: The bottom layer of the 4-layered design is made from high-density foam, which gives this mattress a supportive bas. Therefore, this can help to keep your spine in a healthier alignment and supports your lower back. Therefore, many people with sciatica pain may find this mattress helpful. Removeable cover: Another feature of the DynastyMattress that we love is its removable cover. This is washable so that you can remove and spills or stains that would otherwise make your mattress unsanitary. It also helps you to keep your mattress feeling and smelling fresh. 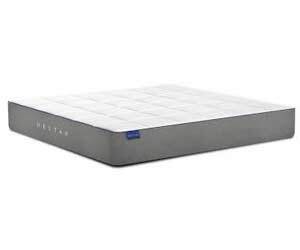 The Serta Perfect Sleeper Mattress is a hybrid model, combining an innerspring core with a gel memory foam outer layer and luxurious pillow-top finish. 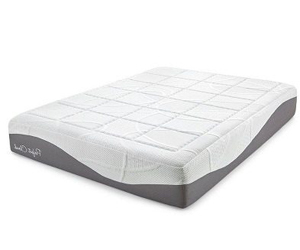 Therefore, when you buy this mattress you get the combined benefit of the support and familiar feel of innersprings with the conforming and pressure relieving abilities of gel memory foam. This mattress is also designed with your spinal alignment in mind, supporting your back and reducing pain including that of sciatica. Let’s take a closer look. Innerspring core: The Serta mattress has a highly supportive innerspring core which helps to keep your spine in a healthy alignment. The air-spaces inside innerspring cores help air to circulate and keep the mattress cool and breathable. Also, this construction is very good at reducing motion transfer from one side of the bed to the other. 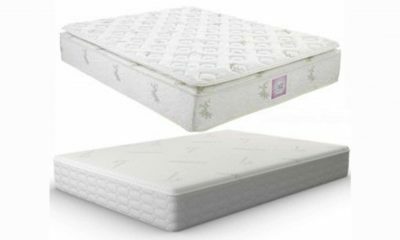 Gel memory foam outer layer: The innerspring core is wrapped in a layer of high-quality gel memory foam. This allows the mattress to conform to your body, taking any pressure off your joints. The gel infusion helps to stop the memory foam from becoming too hot while you sleep. 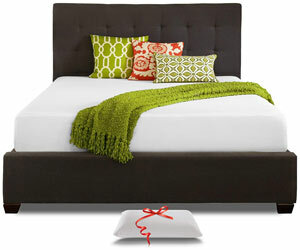 Great edge support: The edges of the mattress are encased in foam, which makes the mattress more durable. Edge support helps the mattress keep its shape and prevents it from sagging and becoming unsupportive. It also allows you to lie or sit right up to the edge of the mattress without damaging it. Sealy Embrace premier coil core: Sealy use around 20% more coils in their core than the industry standard and each is designed to move independently. This allows the mattress to conform to the shape of your body and provides zoned support where you need it. 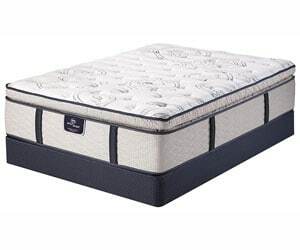 Cooling gel memory foam upper layer: The Sealy mattress is wrapped in a layer of gel-infused memory foam. This is able to adapt to your unique body shape and reduce pressure. It also helps the mattress to maintain a more neutral temperature than standard traditional memory foams. SolidEdge HD System: Sealy have used a system known as SolidEdge HD, which creates a 3-inch area around the edge of the mattress suitable for sitting on. This reinforcement helps to make the mattress more durable and prevents sagging or unwanted damage from sitting on the side. Hopefully, you now understand how sciatica pain can be affected by your mattress and how to choose the best bed possible for pain relief. With a little know-how, you can purchase a mattress to help reduce aches and pains whatever your budget or material preference. If you have sciatica, you should always consult with your doctor to find the root cause, as there may be additional treatments available that can help relieve your discomfort. Sweet dreams!